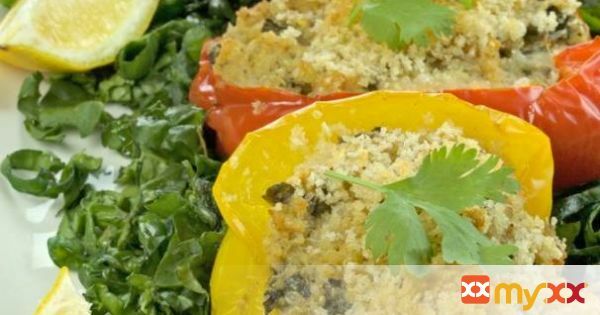 Quinoa stuffed Bell Peppers are packed with protein and the flavours of crab, spinach and goat cheese. Perfect, tasty one dish dinner. Great meatless alternative.